Phyllis Tickle has had a significant impact on the religious landscape in America over her 50-year career. As a college dean, a publishing gadfly, and an advocate of the church's emergence, she has garnered a loyal following in the tens of thousands. 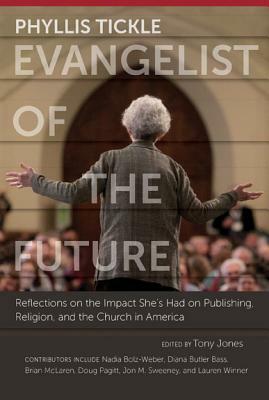 Among those she's influenced are influential church leaders themselves, including Diana Butler-Bass, Brian McLaren, Nadia Bolz-Weber, Peter Rollins, Doug Pagitt, Jon M. Sweeney, Jana Reiss, Lauren F. Winner, and others. In this volume, they reflect of Phyllis's influence, and on the challenge that Phyllis's work poses the future church.